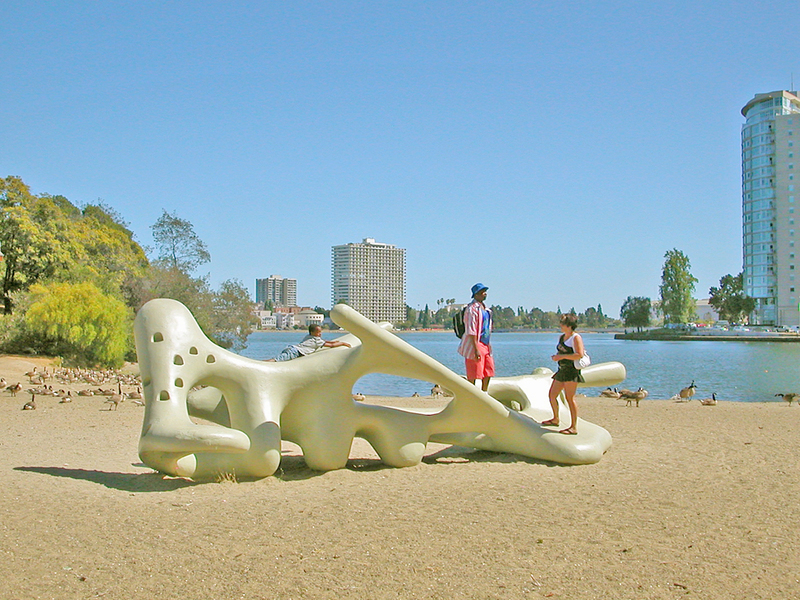 While the Monster legend may have had its disbelievers, a new monster would soon arrive on the shores of Lake Merritt. In the 1950’s Oakland Parks Superintendent, William Penn Mott, saw an intriguing piece of free-form jewelry, designed by Bob Winston, a jewelry designer and artist, who was on the faculty of the California College of Arts and Crafts. Mott contacted Winston to see if a structure could be made that would have the same freedom of design, only on a grand scale. Mott wanted a creation that would bring the experience of climbing on an old tree or on eroded rocks to urban children. 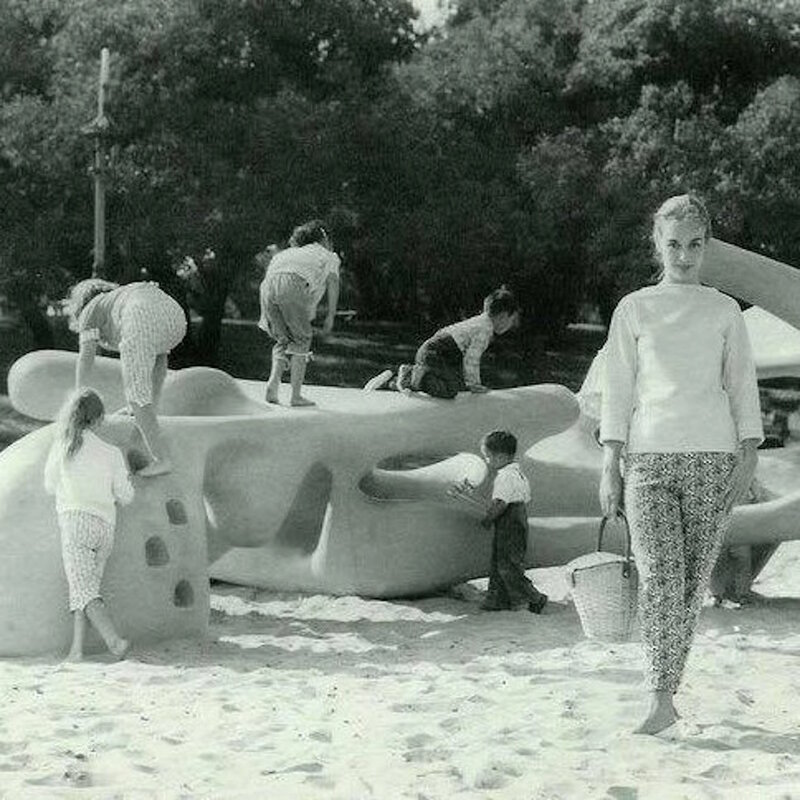 This was accomplished and in 1954 the 40-foot sculpture was installed in Lakeside Park. The “monster” moniker was coined by Winston in light of the scale and size of the structure. Through the ensuing years, generations of children visited and played on the Monster. In 1968 it even attracted Sly &amp; The Family Stone to use the structure as a cover photo on their album, Dance To The Music. Sadly, the Monster has fallen victim to the elements and is now a marred and broken structure, sorely in need of renovation. 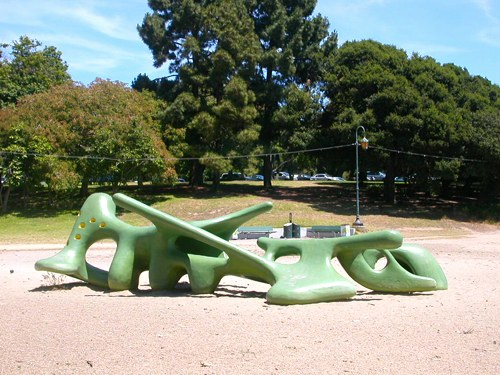 The Lake Merritt Breakfast Club Charitable Foundation has joined with the Mid-Century Monster Fan Club and the Tagami Development Group to restore this treasured Lake Merritt Monster. The City of Oakland has completed the lead abatement of the structure and has painted it with a protective coat of paint. With your help, we can repair and restore this iconic structure for the children of today and tomorrow.